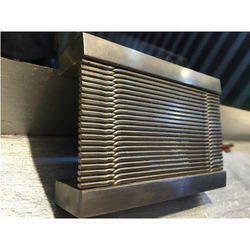 Our range of products include wedge screen, wedge wire screen and dsm wedge screen. With the help of our team of adroit professionals, we have become a reliable organization of a high quality assortment of Wedge Screen. This screen is designed and manufactured using finest quality raw materials and the latest machines by our deft team of professionals keeping in mind set industry norms. The screen provided by us is well tested in terms of quality to assure its faultlessness at the customer’s end. We provide this screen at the most affordable price to the clients. 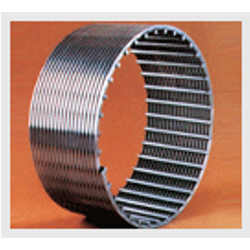 Our organization has created niche in offering Wedge Wire Screen that is suitable for variety of applications such, as sugar coal, mining processing cement etc. This screen is designed and manufactured using exceptional quality raw material and pioneering machines by our team of experts. Checked against variegated quality parameters, the offered door screen is made available different sizes to furnish specific choice of our clients. We are manufacturing DSM Wedge Screen in different models having single, double and triple decks, depending on the requirement of customers. 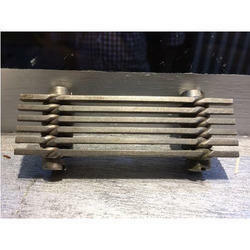 Looking for Wedge Wire Screen ?